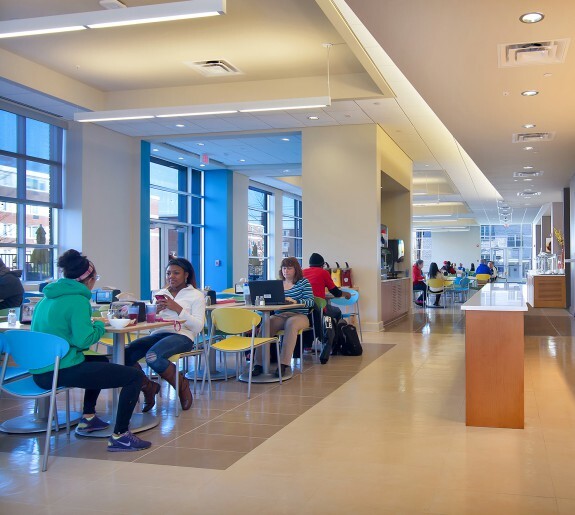 The renovation of Elkton Hall was the third high-rise renovation completed by Design Collective for the University of Maryland, College Park. Construction occurred in three phases during the summers of 2011, 2012 and 2013. 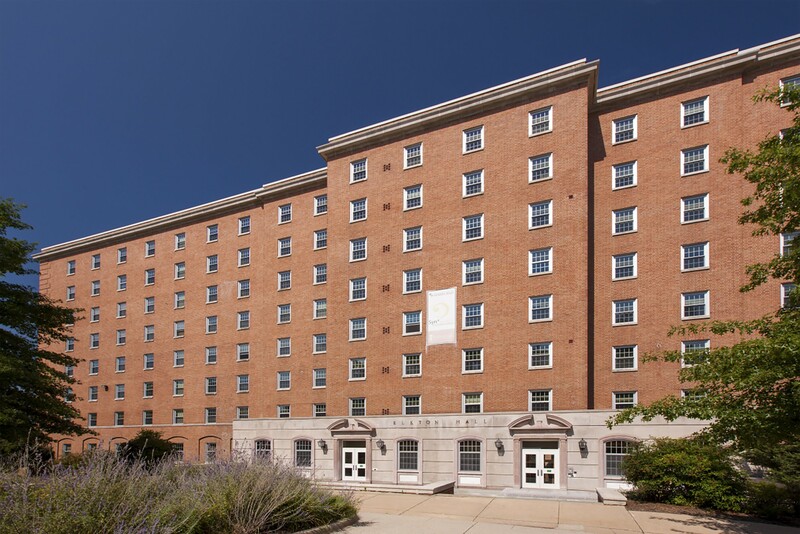 Originally built in 1964 and located on the north side of campus in the Denton Community, Elkton Hall is an nine-story, 114,118 GSF residence hall. 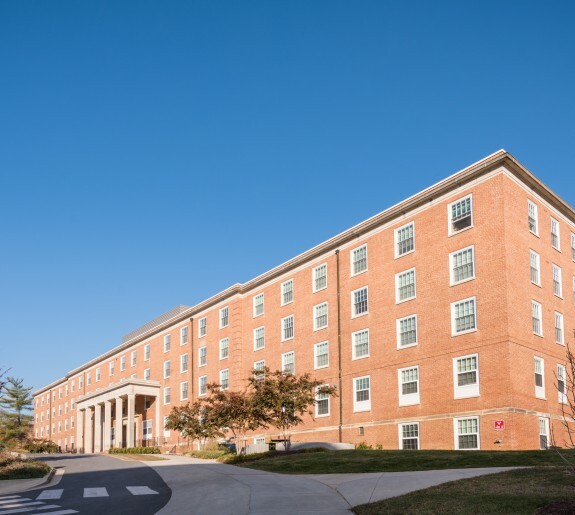 The building houses approximately 520 students and includes two resident director apartments. A basement includes space for mechanical and storage space and a large multi-purpose room. The renovation introduced air-conditioning, insulated glazing and exterior walls to replace and improve on the efficiency of the aged mechanical systems in the building. 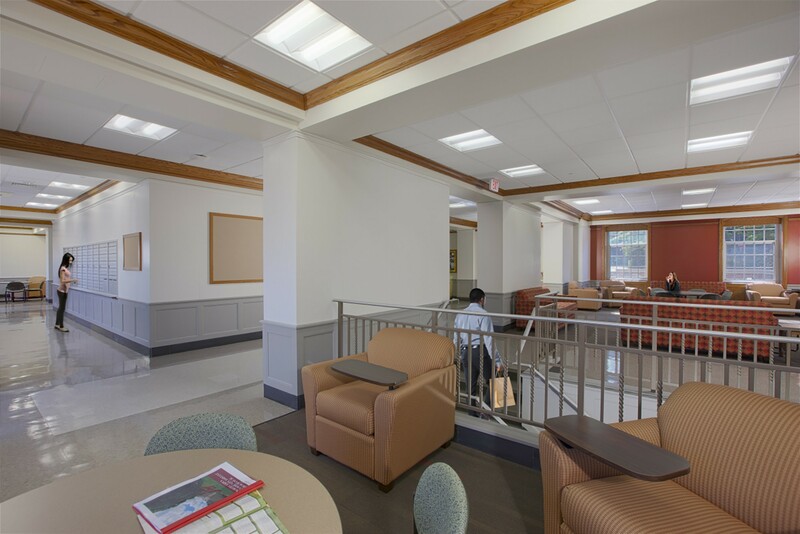 Original heating convectors were replaced with a two-pipe, dual-temperature mechanical system supplemented by campus steam and chilled water to supply new fan-coil units throughout the building. Electrical upgrades were provided to accommodate the new mechanical systems. High performance aluminum windows replaced original single-pane aluminum windows. 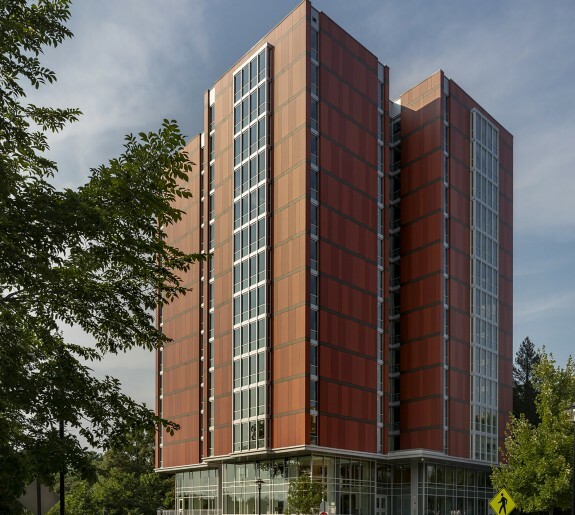 Finally, the exterior walls were insulated with two-inches of rigid insulation on the inside of exterior CMU and new abuse-resistant gypsum board partitions conceal new electrical wiring and mechanical systems. The basement multi-purpose room received new air handling equipment and a ceiling renovation. 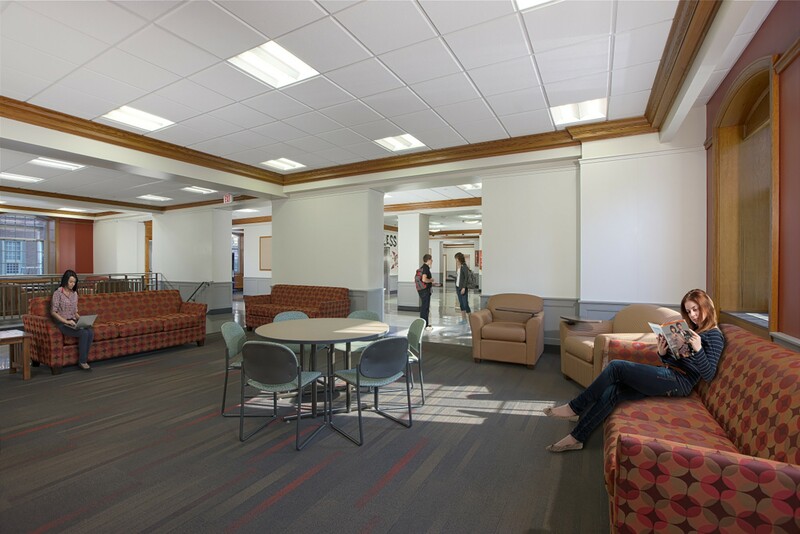 Additionally, Elkton Hall’s main lobby was provided with a major aesthetic renovation to not only coordinate with the new mechanical systems, but to improve resident management operations by upgrading the building desk work areas.